Welcome to the new Holiday Inn Express Hotel and Suites of midtown Albuquerque. Our all-suites, centrally located Albuquerque tourist hotel is only a few miles from the Albuquerque International Sunport Airport, with complimentary shuttle service available. 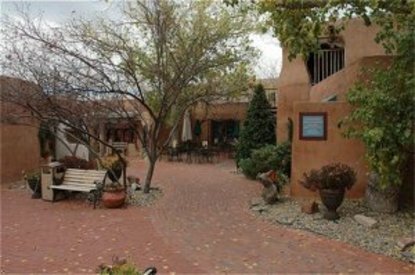 Our Albuquerque hotel is a tourist hot spot for attractions such as Old Town, the Indian Pueblo Cultural Center, Balloon Fiesta Park and Sandia Peak Tramway. The University of New Mexico, Kirtland Air Force Base and Sandia Labs are also convenient to our Albuquerque hotel. Visitors find our Albuquerque hotel convenient with its choice location near the intersection of Interstates 40 and 25. Additionally, business travelers enjoy the easy access our Albuquerque hotel provides with its close proximity to companies such as Intel, Lockheed Martin and General Mills. During your Albuquerque vacation, be sure to enjoy all the amenities our hotel has to offer, including free high-speed Internet access throughout the hotel, a brand new business center, well-appointed fitness center and a heated outdoor pool. Book your reservations today and take advantage of our great Albuquerque hotel deals and rates. This hotel is committed to providing accessible facilities under the American Disabilities Act. If your accessibility needs are not met, please contact the Hotel Manager on Duty. Should you require additional information regarding accessible facilities for guests with disabilities, please call 1-800-Holiday (U.S. and Canada) or contact the hotel directly. For the hearing impaired, TDD service is available at 1-800-238-5544 within the U.S. and Canada.